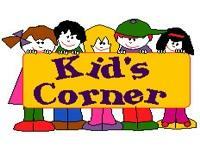 Yes, our KidsÂ’ Corner is back! It had been missed but we intend to make up for it to children of ages, parents and teachers all of whom will find something useful for their purpose. Find out the truth about black holes. Discover the fierce force of gravity and pelt poor Jupiter with a comet! Whip up a batch of comets Â— without trashing the kitchen! If you are interested in discovering the secrets of space or if you want to help NASA in planning a Hubble Servicing Mission. This website is made just for you. Join the team! The site represents 30 years of capturing film and computer-enhanced images of living cells and organisms for education and medical research. It hosts over 4 million visitors a year. It is invaluable for both students as well as teachers. See for yourself! If you are looking for basic chemistry information, this not just for kids, it's for everyone. 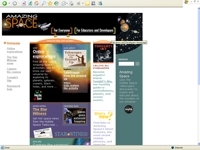 We have information on matter, atoms, elements, periodic table, reactions and biochemistry. Try the site map and see all of the topics on the available or use the search function.